This is where the magic really happens! We have an in-house staff of talented artists, editors, engineers and animators. These folks creatively shape and mold the individual elements into something far greater. They bring your idea to life! The phases of post production include: video editing, audio post production and animation and visual effects. This is where it all comes together! The post production process starts with taking in all of footage shot on location, selecting the best moments and establishing a sequence of shots that most effectively tells the story. Opportunities to “fine tune” the message with supporting elements such as graphics, animation and audio become apparent during this process. Video editing is also where all of these additional elements are finally married together to create the finished product. Audio is half of a video’s message. We recognize how important it is to take advantage of this opportunity. The right background music can enhance the emotion of a visual. The right announcer saying the right words with the right delivery can convey a message that will move an audience to action. Sound effects can heighten on-screen action or help illustrate a message. 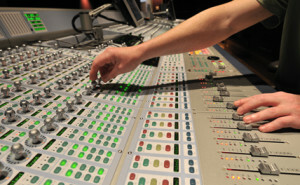 Audio post production is where all of these elements are created and combined in the right amounts to form the final sound track of the video. Animation and visual effects create things that don’t normally exist in real life. It might be a simple graphic that appears on-screen to underscore an important message. It can also be an eye-popping animation that will seem like magic to the audience. Our animators can reshape reality to take your video to a new level.